Samsung Pay will be heading to Singapore later this year with several banks including OCBC Bank and Standard Chartered Bank offering the payment solution. The South Korean tech company is also teaming up with American Express, MasterCard and Visa to welcome the service to Singaporean customers this year. Samsung Pay is a cashless service that allows consumers to purchase items at retail locations using just their Samsung smartphones. Samsung announced on February 20 that it had reached a milestone of five million registered users that made more than USD500 million in the first six months of its launch. It is stated in a media statement that there has been strong adoption rates in South Korea and U.S. after the service was launched in August and September last year, respectively. Mr Anthony Seow, head of cards and unsecured loans of DBS Bank mentioned, “As Singapore consumers move towards using more cashless payments, our priority is to introduce a comprehensive suite of mobile banking solutions to our customers. Samsung just announced that it will be launching the service in China this March together with Australia, Brazil, Singapore, Spain and the United Kingdom later in the year. 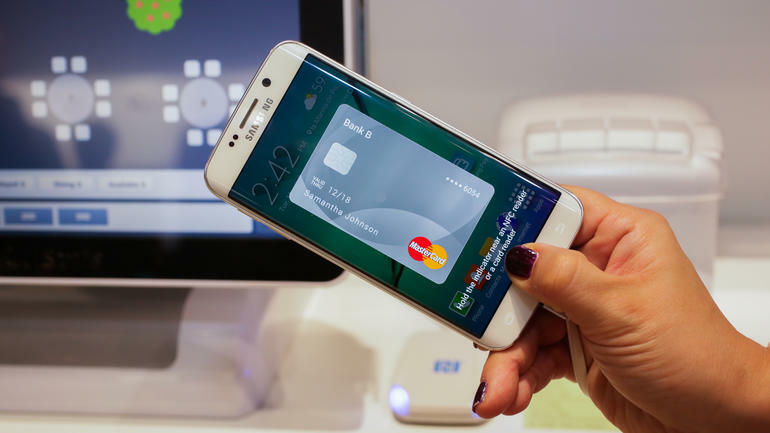 Samsung Pay is available on the latest Samsung Galaxy devices such as the newly launched S7, S7 edge, S6, S6 edge, S6 edge+, Note5 as well as the 2016 models of both Galaxy A5 and A7, according to a Samsung press statement on Feb 20.